Israel, despite constant existential threats and its history as a terror target, has kept its people relatively safe, earning a 2015 Global Terrorism Index impact rank of 24th. This rank is not only better than most Middle Eastern countries, but also is better than the likes of China, Russia and India. Israel, through decades of thought and investment in counterterrorism, maintains security by reducing its areas of vulnerability and proactively targeting terrorist infrastructure and operatives. Israel has not suffered a major attack on its airports since the 1972 shooting at Ben Gurion Airport. Israel uses checkpoints and physical barriers in order to limit vulnerability and the activities of terrorists. Targeted strikes aggressively pursue those that seek to spill innocent blood. 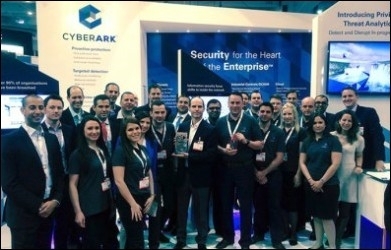 The Israeli company Cyberark won Best Advanced Persistent Threat (APT) Protection at the SC Awards Europe 2014. The private sector contributes as much as the government to the strength and innovation of Israeli counterterrorism. Israeli companies areactively involved in creating technologies designed to increase security for individuals and nations. These include a GPS based mobile security network aimed at improving response times to terrorist attacks, medical emergencies, and other time-sensitive emergencies; software that can suppress background noise to seek out speech related to terrorist activities; and a programthat can seek out and identify those showing signs of online radicalization. As neighboring nations face the increasingly rabid Islamic State, the security tactics and expertise of Israel are extremely valuable international commodities. Israel, in turn, could gain a large amount of international favor and begrudging cooperation from nations that have historically been enemies to the Jewish state by acting as a teacher and security expert. There are precedents for this. Israeli officials regularly host American security officials and law enforcement officers in order to teach counterterrorism and security tactics. This helps to cement the relationship between these two allied democracies and provides insight into the pressures and realities faced by Israel. According to David C. Friedman of the Anti-Defamation League, officers who return from these visits "understand Israel and its security needs in ways a lot of audiences don't." Israel has already used military aid as a tool for foreign relations, particularly in Africa and Latin America. This allowed Israel to build relationships outside of the hostile Middle East. Israel is now poised to make new allies in the region to unify against the common enemy of Islamic fundamentalism. Israeli intelligence, technology, and expertise have already proven themselves in the war against Islamic extremism. Egypt and Israel combat Islamic State affiliates in the Sinai Peninsula. Israel is already working with Jordan against Levantine Islamic State threats. It is one thing to be secure against one's rivals; it is quite another to be something they need. As a result, relations between the three nations have improved, in what has been described as a "unity of the threatened." The Saudis and the Turks, who have seen a dramatic increase in Islamic State attacks, are in prime position to join this alliance of the imperiled. In the wake of Iran, which stands upon the threshold of nuclear capabilities, this alliance of the imperiled is all the more vital for the future of peace in the Middle East. This is an opportunity for Israel to rebuke its critics and demonstrate its ability to cooperate and seek out peace. It is one thing to be secure against one's rivals; it is quite another to be something they need. Of course, some nations will decline this opportunity. The French have stubbornly refused to utilize Israeli technology in the past for fear of negative publicity. As terror threats proliferate in the years to come, however, the price of such obstinacy will be far too high. Ethan Seletsky is a research intern at the Middle East Forum.